FIG Vice President Mikael Lilje represented FIG at the meeting. The meeting concluded with a joint statement. 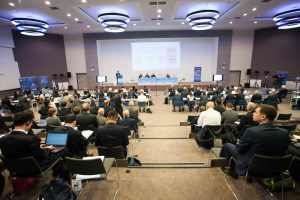 Read the main findings from the meeting and Work Group D.
The Eleventh Meeting of the International Committee on Global Navigation Satellite Systems (ICG) was held in Sochi, Russia from 7 to 11 November 2016. The ICG has been formed as a result of recommendations of the UN Committee on the Peaceful Use of Outer Space (COPUOS), as ratified by the General Assembly of the UN. The International Federation of Surveyors (FIG) is an Associate Member of the ICG. 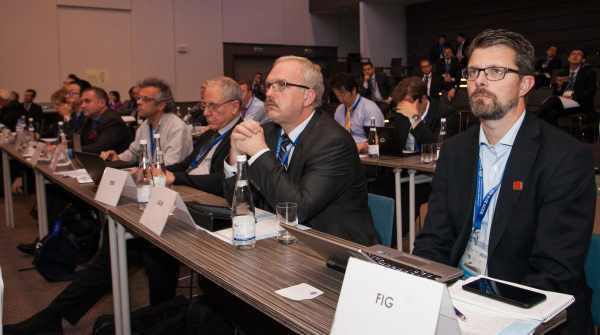 FIG Vice President Mikael Lilje attended as the FIG representative to UNOOSA. Unfortunately, Neil Weston could not be present but he is FIG’s co-chair for Working Group D on Reference Frames, Timing and Applications. This meeting attracted almost 150 people attended the meeting with representatives from all of the GNSS/RNSS providers. There were also many representatives from other countries and non-government organisations. At the end of each meeting, the ICG issues a Joint Statement outlining the highlights of the broad scope of work across the ICG. 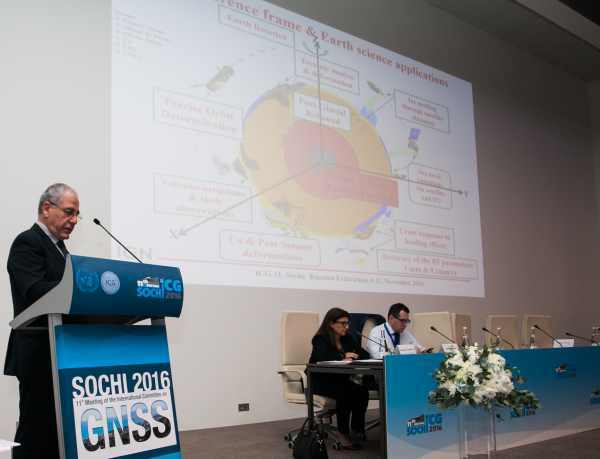 Various presentations were made at the plenary sessions and working group sessions of the meeting and they form a very useful snap shot of the state of the art with the various GNSS and also with issues across key user groups. The Joint Statement from ICG-11, Working Group Reports and all presentations are available on the ICG Information portal. Each provider presented on their status and their respective progress. The FIG/IAG/ICG Technical Seminars are seen as successful and useful. It was decided that ICG will continue with its support also during 2017 with the technical seminar to be held in Kobe, Japan. The UN resolution on Global Geodetic Reference Frame for sustainable development was presented and progress noted. The working group had two meetings during the week. The minutes from Working Group D and other Working Groups will be available from the ICG web portal in due course as well as other official documents as e.g. recommendations and all presentations. The Working Group noted significant continued progress on the geodetic and timing references by the ICG GNSS Providers. Specific progress was noted: (1) the availability of the new release of the International Terrestrial Reference Frame (ITRF2014) and the significant contribution of GNSS data, (2) the refinement of the alignments of GNSS associated reference frames to the ITRF, and (3) the information on the GNSS timing references, the BIPM publications and the inter-comparisons of GNSS time offsets. Working Group D has contributed and will continue to contribute to the IGMA initiative and in particular through the IGMA trial project and the joint International GNSS Service (IGS) - IGMA Call for Participation. 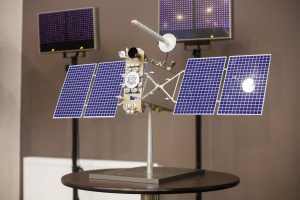 The Working Group D noted lack of progress on two specific recommendations, number 12 and 23: one in relation to the provision to the IGS of GNSS data of Providers’ tracking stations, and one on the possible provision by GNSS Providers of satellite data that would help improving orbit modelling and accuracy. The Working Group D Providers Members are solicited to follow up the implementation of the recommendations. Japan agreed to host ICG-12 in December, 2017.